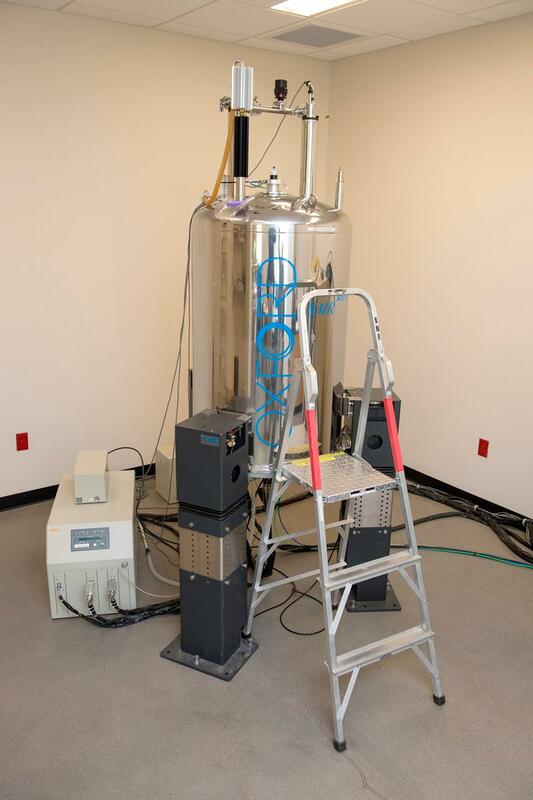 The JEOL ECA 500 MHz NMR spectrometer shown here, along with the 300 MHz instrument, allow students to acquire complex molecular data. 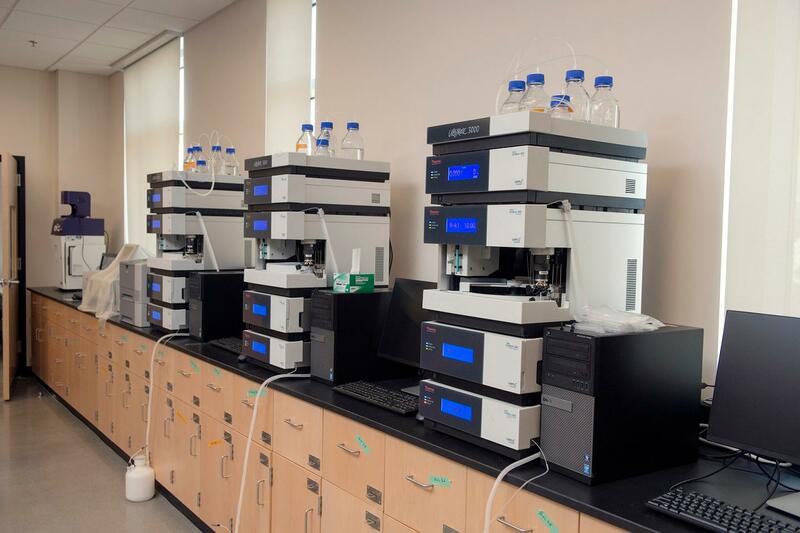 Three Dionex Ultimate 3000 Analytical HPLC instruments allow undergraduates in biochemistry courses to get the same experience as chemistry researchers. 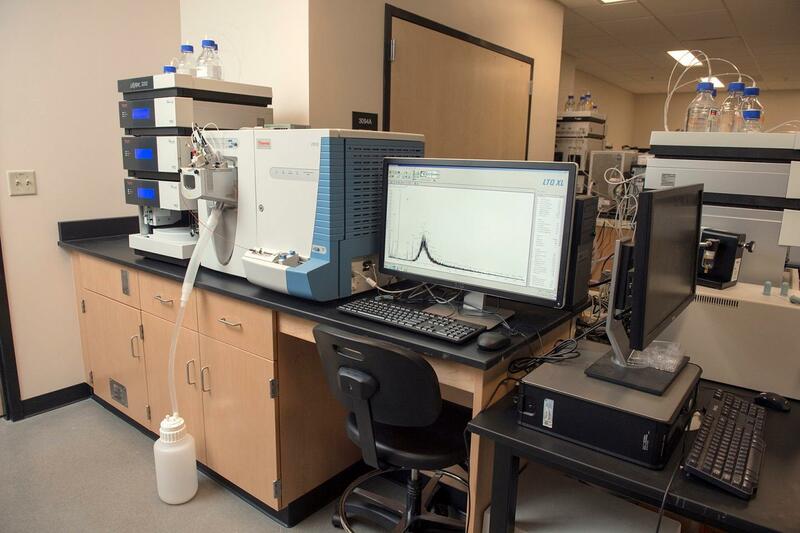 A Dionex Ultimate 3000 HPLC combined with a Thermo LTQ XL MS provides detailed mass spectroscopic data on complex mixtures. 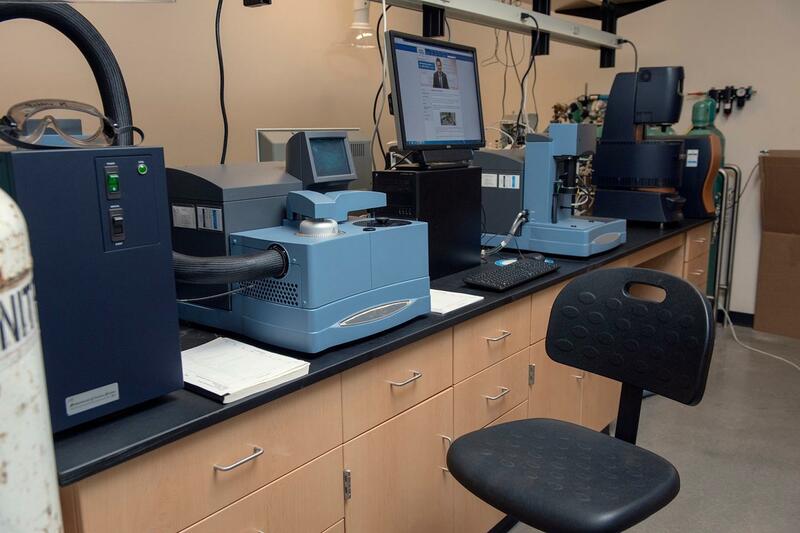 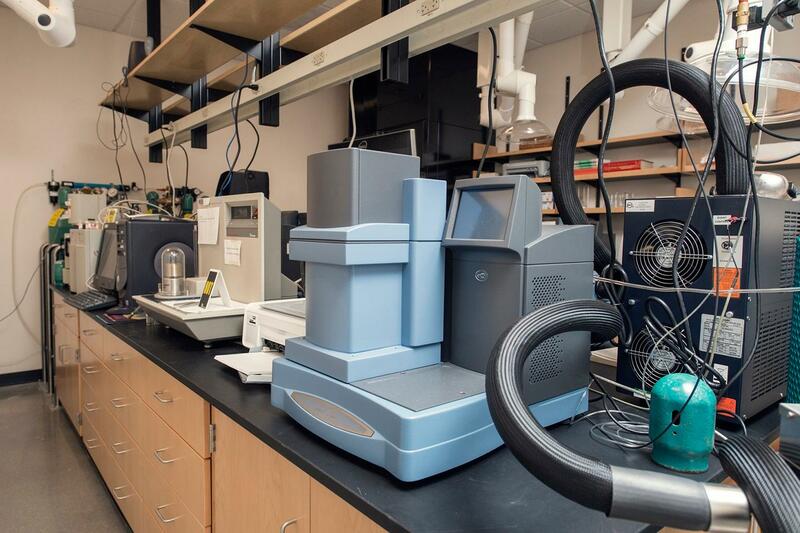 The suite of materials analysis instruments includes a Q2000 Differential Scanning Calorimeter, a Q500 Thermogravimetric Analyzer, an AR-1000 Rheometer, and... ... a Dynamic Mechanical Analysis instrument, all providing cutting edge polymer and materials characterization. 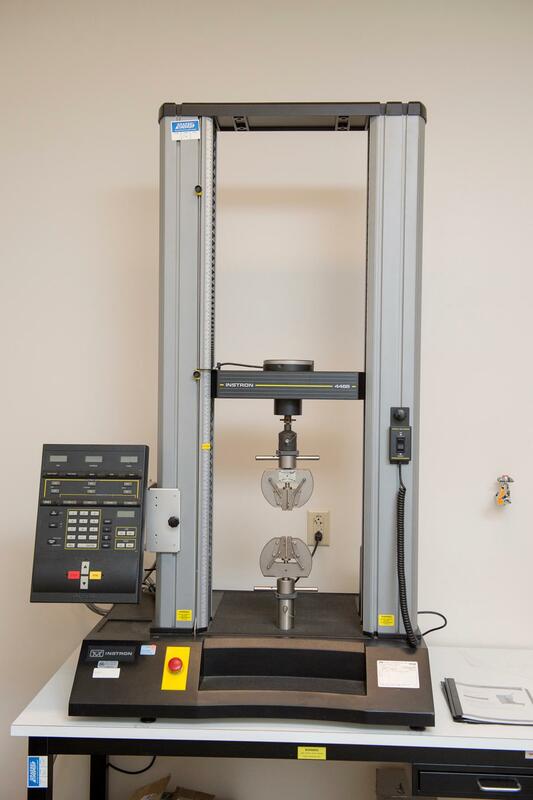 The Instron 4465 Tensile Tester gives valuable information on how a material reacts to elongation forces. 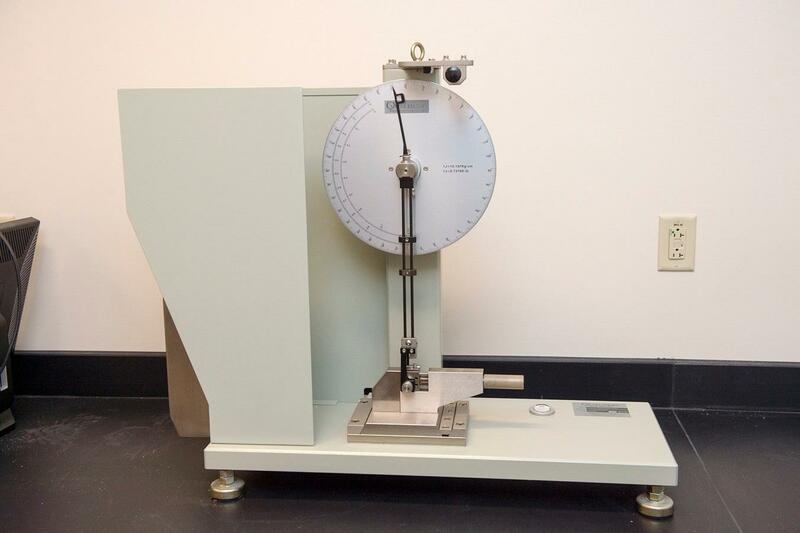 The Impact Tester provides information on the response of polymeric materials to impact forces.